The TI-30 followed the TI-30 III. We know the electronics from the slimline TI-35. A similiar calculator was introduced in the same year with the TI-30 STAT. 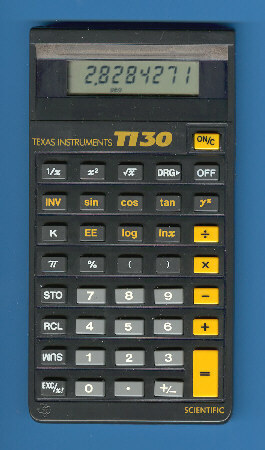 In 1987 the design of the TI-30 was slightly changed to match again with the TI-30 STAT. About five years after its introduction the design of the TI-30 was changed from the original yellow coloring to a blue coloring. View the new design here. An overview of the four different versions known today could be found here. Please notice a rare design variation of the TI-30 sporting a blue housing.